Dental health is an essential part of the overall health system. With modern lifestyle, dental problems are becoming common among all sections of the society. Additionally, improper dental care also creates problems like early tooth falling, tooth decay, enamel loss, etc. All these problems require proper suggestions of dentists to keep teeth healthy and fit for a long time. Thus, dentistry as a profession has become more demanding and because of its promising nature, a lot of young aspirants are entering this profession. To get into this business you have to pass the 10+2 level with Physics, Chemistry and Biology to apply for the competitive entrance examination. Numerous universities and institutes, both in the public and private sector, conduct their own admission tests. Excellent employment opportunities are available for dentists in dental departments in hospitals, nursing homes, dental clinics and health departments. 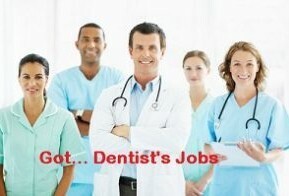 You can also seek a teaching job in any of the dental colleges spread across the country. Apart from this, as a dentist you can seek work in the research and advisory departments of pharmaceuticals. Opportunities are there in companies producing oral care products like toothpaste, mouth wash, and gum care products.